loving. living. small. | live small with style: THATCHED OTTOMAN. FAB. 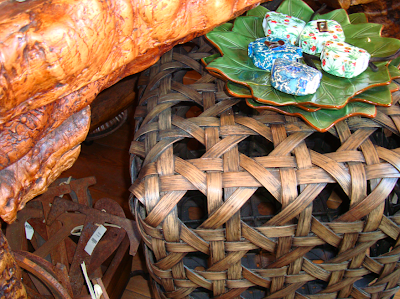 I enjoyed Sunday in Laguna Beach and popped into the great home store called Tuvalu. Aside from the amount of great home accents selections (like some pretty green glass objects), I spotted this awesome thatched ottoman. How cool is this?!? I would love this layered with the CB2 yellow console table in an entryway! The mixing of textures would really make a visual impact. 0 Responses to "THATCHED OTTOMAN. FAB."